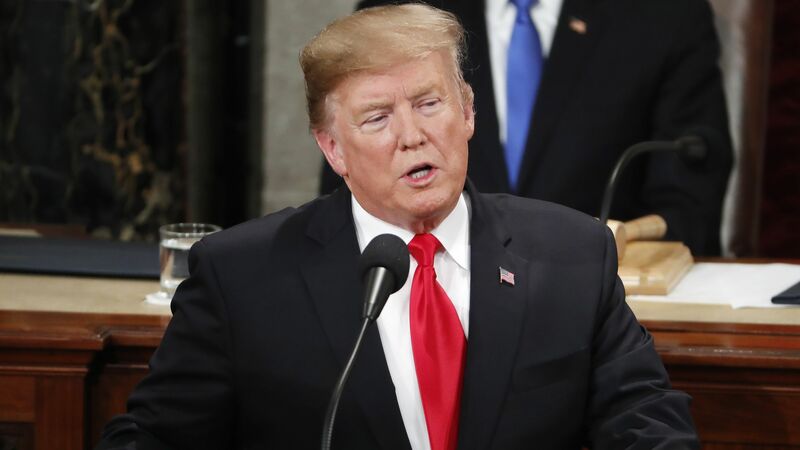 Donald Trump raised eyebrows in his State of the Union speech when he said he wanted people “to come into our country in the largest numbers ever, but they have to come in legally”. Washington: US President Donald Trump says he’s now in favour of more legal immigration because of economic gains on his watch. Trump raised eyebrows in his State of the Union speech on Tuesday when he said he wanted people “to come into our country in the largest numbers ever, but they have to come in legally”. His policy positions to date do not reflect that wish. In his speech Tuesday, Trump had argued that immigrants in the US illegally take jobs away from middle-class Americans. However, much of the recent economic research suggests that immigration has no significant effect on job growth for US-born workers in the long-run. Trump has proposed several policies that would severely restrict legal immigration, including limiting immigrants’ ability to sponsor family members to join them. He has also slashed for the last two years the number of refugees the US will accept. The Cato Institute, which favours more open immigration policies, estimated the immigration plan Trump has proposed would cut the number of legal immigrants by up to 44 percent, the largest cut to legal immigration since the 1920s.